The Nebraska Synod and the ELCA are engaged in ministry around the world, sharing the love of Christ with our brothers and sisters in more than 80 companion churches in other countries. As the church, we approach this ministry through a model of accompaniment, walking together with our global neighbors, engaging in ministry with and alongside each other. Specifically, the Nebraska Synod is engaged with two companion synod churches - the United Evangelical Lutheran Church in Argentina and Uruguay (IELU) and the Northern Diocese of the Evangelical Lutheran Church in Tanzania - as well as one accompaniment partner church - the Evangelical Lutheran Church in Jordan and the Holy Land. We are a church that believes God is calling us into the world — together. Companion church relationships enrich and deepen our ministries by exposing us to global challenges and perspectives as we seek to work with one another to build up the body of Christ and the world. The Nebraska Synod is blessed to have two strong, healthy and vibrant companion church relationships. Since 1990 we have been in partnership with the United Evangelical Lutheran Church in Argentina and Uruguay (IELU) and since 1993 we have been in partnership with the Northern Diocese of the Evangelical Lutheran Church in Tanzania. Stephanie@nebraskasynod.org or call the Synod office 402-896-5311. You will be responsible for securing your passport (if necessary). There are two major components to these trips. The first is to learn about the culture of Tanzania and the ministry of the Northern Diocese of the Evangelical Lutheran Church in Tanzania. The second is to visit the famous natural areas of Northern Tanzania and view the beautiful scenery and wildlife. The approximate cost for the February trip is $4,100 per person and the cost of the July trip is $5,200. (estimated). This cost covers economy airfare, visa, ground transportation, group tips, safari, all lodging and meals. To register please complete the registration form. You will be responsible for securing your passport (if necessary) and any needed shots and medications. For more information or reservation forms please contact office@nebraskasynod.org. Members: Sharon Carlson - Fremont, NE: Sherrill Echternkamp - Clay Center, NE: Becky Hansmeier - Omaha, NE; Chris Lund - Omaha, NE; Jeanne Madsen - Wayne, NE; Diane Reece - Wahoo, NE; Sandy Terry - Fremont, NE; Rev. Kristen Van Stee - Wayne, NE. If you are interested in having one or more of these individuals speak to your congregation or group, contact Synod staff below. 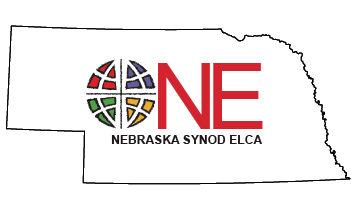 If you are interested in supporting the Global Mission programs of the Nebraska Synod, please visit our online giving site.